(CNS): Three leading judicial experts have been recruited to the Cayman Islands Court of Appeal following an open search by the Judicial and Legal Services Commission and then an interview panel. Sir Bernard Rix, Sir George Newman (left) and John Martin were then appointed as justices to the local appeal bench on the panel’s advice by the governor. The higher court jobs were advertised locally and overseas and five justices were interviewed by Sir John Chadwick, the panel chairman and current president of the appeal court and JLSC member; Dan Scott, the JLSC chairman; Sir David Simmons and Baroness Scotland, both JLSC members; and Chief Justice Anthony Smellie. Professor Sir Bernard Rix (right) is a recently retired Lord Justice of Appeal of England and Wales, with twenty years experience in the Commercial Court and the Court of Appeal. He is Professor of International Commercial Law at Queen Mary University of London. 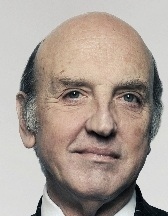 Sir Bernard has previous experience as a High Court Judge and a barrister specialising in international commercial and arbitral disputes. Sir Bernard’s appointment is effective 1 November 2013 for a five year renewable term. John Martin, QC, (left) has been a Judge of the Courts of Appeal of Jersey and Guernsey since 2007. He has sat as a Deputy High Court Judge in the Chancery Division since 1993. He is a barrister practising from London in a wide range of commercial and chancery work and is and currently Head of Chambers. Martin’s appointment is effective 1 March 2014 for a five year renewable term. 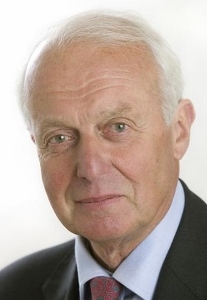 Sir George Newman is currently a Surveillance Commissioner for England and Wales and Chairman of the Security Vetting Appeals Panel in the Cabinet Office. He was formerly a High Court Judge of the Queen’s Division Bench in London and now sits as a Deputy Judge. Sir George served as a Justice of the Court of Appeal in the Bahamas for two years and has acted as a barrister in a cross section of jurisdictions, including Hong Kong, Singapore, Malaysia, Brunei, Fiji and the Caribbean. Sir George’s appointment is effective 1 July 2014 for a three year renewable term. (CNS): A suspended police officer who is facing four serious charges under the anti-corruption law will have another three months to wait as his trial was adjourned Thursday when the judge was forced to discharge the jury because of a legal procedural issue. Following a successful application filed by Elvis Ebanks’ defence attorney, Justice Charles Quin let the jury of four women and three men go as a result of a possible prejudice that may have occurred in the case. With not enough time set aside to re-start the trial, a new date was sought and after rescheduling, the new trial will start on 20 February. With the case still sub judice, the full reasons for the potential prejudiced cannot be reported but the issues was not down to any inadequacies on the part of any attorneys involved in the case or any issues relating to the jury. The problem was as a result of unexpected circumstances surrounding external court support services. Elvis Ebanks is facing two counts of bribery and two counts of a breach of public trust . He is alleged to have taken a bribe from a man in exchange for not pursuing a prosecution over the possible theft of a mobile phone. (CNS): Derek Haines, a veteran among local marathon runners, has just three weeks of training left before he takes to the pavement in next month’s annual Cayman marathon. 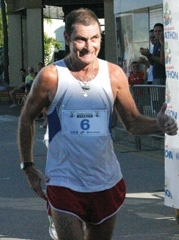 Having turned 65 last month and with more than three decades of experience under his belt, aside from finishing the race in a reasonable time Haines is also hoping to raise $30,000 for the 'Feed our Future Cayman Islands' summer meals programme to continue, giving local kids at least one decent meal a day when school is on break because so many of them are dependent on school lunches. Still short of that sponsorship target, Haines is appealing for more support. Hoping a few more backers will come forward to help him reach the target before the endurance race on 1 December, the running Rotarian said corporate sponsors will have their brands on his shirt and, given that his pace is a little slower than in years gone by, he said, they will get great value for their money. He explained that to implement the summer programme the Feed our Future project needs in the region of CI$30,000, based on a target of making available weekly grocery credit or goods valued at up to $50 for 50 plus children’s families. An added incentive that comes a little cheaper is the ‘guess his finishing time' competition. For a pledge of $25 people can take a stab at how long it will take the 65-year-old to make it to the finishing line and the closest guess will receive six bottles of Veuve Clicquot Ponsardin. Haines’ fastest time is 2hrs 59mins. 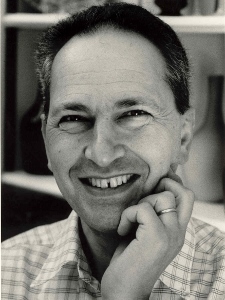 However, that was 27 years ago, so he said the guesser may find that his finishing time of just over 4 hours last year might provide a better yardstick. For more information about the charity go to www.feedourfuturecayman.org. (CNS): The Water Authority (WA) has begun laying new pipeline in the West End of Cayman Brac, which will be followed by an upgrade to the water pipes servicing the island's main tourism area, including the Alexander Hotel, the Brac Reef Beach Resort and the Brac Caribbean and Carib Sands condominiums. Currently this area receives water piped under airport property, which the WA has said must be removed to comply with revised international safety standards. New pipes now being laid along Gerrard Smith Avenue, from the Cross Road to Bert Marson Drive on the South Side, will connect to the water piped along the southwest down to the Brac Reef. 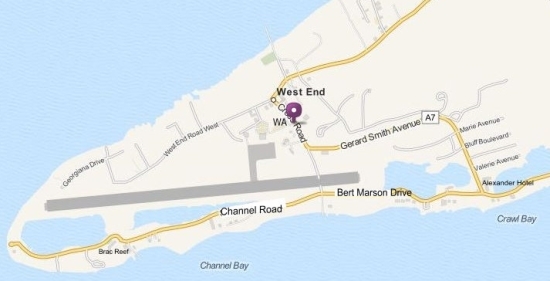 The WA says the project is part of its 10-year capital plan to expand its water infrastructure on the island. “The existing water distribution system was installedin 1991, and has not been extended significantly over the last 20+ years," said WA Deputy Director Tom van Zanten. "Since then several homes have been constructed on the side roads off Gerrard Smith Avenue which do not have access to piped water. Also some land owners in this area have indicated that they would build homes if piped water was available. “Additionally part of the existing main pipeline is within the airport property, and as a result of revised international safety and security requirements must be removed. The new pipeline will ensure that the Water Authority can deliver piped water efficiently and reliably to more customers," van Zanten said. Initially pipes will be installed along Gerrard Smith Avenue and its side roads (Bertrand Avenue, Bluff Boulevard, Marie Avenue, and Warbler Road). Afterwards, the existing pipeline along the south coast (Bert Marson Drive, Channel Road) will be upgraded to 6-inch diameter to increase the capacity of the system and improve reliability, the WA said in a release. This project, which started this week, comprises the installation of approximately three miles of pipework and is expected to continue for a period of approximately eight months. Work started at the intersection with Cross Road, continuing east along Gerrard Smith Avenue. 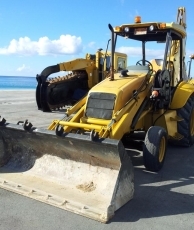 An experienced four-man pipelaying crew has been relocated from Grand Cayman to Cayman Brac, and they will work with two labourers hired locally. Equipment and materials arrived by barge last week (see photo above). The Water Authority does not anticipate any road closures during the pipelaying work but motorists traveling in the area affected are urged to proceed with caution and obey all road signs. Traffic flow will be facilitated at either end using flag men. “I am very excited to see the Water Authority return to Cayman Brac to carry out major work on the piped water infrastructure and I look forward to the start of this important project,” said Kurt Tibbetts, Minister of Planning, Lands, Agriculture, Housing & Infrastructure. Lemuel Hurlston, Chairman of the Water Authority Board stated, "The board of directors is delighted to direct the considerable investments in the proposed major infrastructure development works in Cayman Brac. We are confident that these will offer employment opportunities while expanding the services to residents and businesses there and ultimately to Little Cayman." (CNS): Local tour operators say they are being marginalized and their livelihoods undermined due to the way cruise lines do business, which won’t necessarily change once the piers are built. Relating the experiences of a number of smaller operators at a public meeting Tuesday night, one West Bay based taxi owner said many people had already lost their homes and businesses because of the message the ship owners deliver to passengers that Grand Cayman is not safe for them to wander around alone. They are also told that they will be ripped off by local tour operators as the cruise lines seek to control the sale of on-shore trips and excursions. The operator said that this was the issue that was affecting many smaller business, and not just taxi drivers. She said that the cruise ships sell the same tours as local operators for as much as four times the price but give the local operators that they use to deliver those tours only a fraction of the takings. With many operators not getting any of the pre-booked tour work and a dwindling number of passengers willing to book direct because of the negative messages, she said small operators were going out of business and that was the issue the government had to address. Speaking at the meeting hosted by Tourism Minister Moses Kirkconnell about the government’s plans to develop cruise berthing facilities, Shamari Scott, the director of the Department of Tourism (DoT), explained some of the efforts being made to develop a website presence, which has had impressive results for local operators. He said this was enabling cruise visitors to book local tours directly on-line from the ship. However, the local operators said no amount of promotion was able to counter the power of the negative messages that cruise passengers were being fed by the cruise lines about crime and security and the bad impressionof locally based operators. She repeated an often heard complaint from retailers that whatever the numbers of cruise passengers passing through their stores in recent times, the visitors are simply not spending money. This was why so many George Town merchants had already gone out of business, as well as the tour operators. She said many people had lost their homes and livelihoods and were struggling to put food on the table for their families. The operator implored the minister to do what he could about the negative message being delivered by the cruise lines and the system of how tours are sold. He made a commitment to raise the issue and asked for full details on the reports local operators were getting from passengers about what they were being told on board ship. (CNS): The team from PricewaterhouseCoopers that completed the strategic business case documents underpinning the government’s plans for the development of a cruise berthing facility have estimated that the minimum cost to develop two basic piers in George Town will be around $100 million and the length of the lease to whoever develops the port will be around 20 years for them to recoup their investment. At a public meeting Tuesday night about the progress towards the development of the facilities, Tourism Minister Moses Kirkconnell set out the plans for the project and made it clear the PPM government wanted to work with a consortium of cruise lines to avoid a monopoly and that it had campaigned on putting the dock in the capital. Despite the ongoing representations that George Town is not the best location for cruise ship piers, Kirkconnell said that the Progressive administration had run for office on a platform of developing the port in the capital and nowhere else. He said that government would not be granting any coastal licenses to private sector entities that had toyed with the idea of developing a port much further north in the Pageant Beach area. Listening to the concerns and answering questions from an audience that was smaller than expected, at around 120 people, Kirkconnell fielded several questions about the ultimate benefit to local tourism and the very real environmental concerns. Department of Environment director Gina Petrie-Ebanks, who was also present at the meeting, said that the terms of reference for an environmental impact assessment would go out for public consultation. The minister said the EIA would form an important element of the whole process and government officials were committed to rethink the development if it put Seven Mile Beach at risk. The issue of passenger numbers was also raised and the consultants from PricewaterhouseCoopers (PwC) admitted that they were unable to get the exact information from the cruise lines about the percentages of people disembarking from the ships when they call in Grand Cayman. PwC used other survey data information that shows some 90% of cruise passengers get off the ship here, despite the need to tender. Kirkconnell also revealed that he has not yet received any firm comments for ships to remain in port very much longer once the piers were developed. He explained that because of the time saved by passengers not being tendered from the ship to shore and an extra hour or so that the lines were prepared to commit to, they would aim to sell two tours to each passenger. 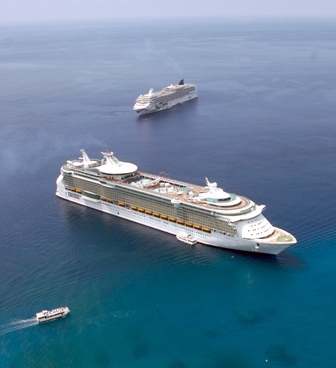 This, he said, would still result in George Town merchants, other service providers and operators having a greater bite of the cruise business cherry, though many operators still had concerns about the way cruise lines do business and marginalize local operators. The process on which the government is now embarked towards the development of the pierswill not be completed overnight. It is now moving towards an EIA and the development of the documents that will make up the first public invitation of interest to potential developers for pre-qualification to bid. Meanwhile, October saw an increase of more than 9% in passenger arrival figures over last year after several months of declines. The minister said the numbers would continue to improve before the end of this year and during 2014, when work was expected to finally begin on the piers. (CNS): Although the UK's overseas territories minister, on a one day stop to the Cayman Islands Tuesday, said that the relationship between the governments of the United Kingdom and Cayman is not about individual personalities, Mark Simmonds said he was impressed by the new local government. Speaking to the media yesterday evening following a packed day of events, the Conservative party junior minister made it clear that he was comfortable with the new leadership team and satisfied with the way things were going so far, especially the budget, which he said he had turned around so quickly because it was impressive. Both the immediate past governor, Duncan Taylor, and Simmonds had a somewhat less than cordial relationship with the previous premier, McKeeva Bush, and the UK had some serious difficulties agreeing to the financial plans submitted by his UDP administration. But Simmonds said there was a much more streamlined experience following the submission of the PPM government’s first budget. However, he acknowledged that delivering what is in that particular budget has created some challenges and he was keen that the UK could do more to help. He pointed to the Treasury in London and other Whitehall departments that may be able to offer that kind of assistance to CIG in the spirit of partnership between Britain and the overseas territories. Speaking in more detail about the budget, the UK minister said that he was not opposed in principle to the idea of four year budgets, which has been suggested by the local premier, Alden McLaughlin, to try and save government time, money and create stability. Impressed by the new government, the minister made it perfectly clear that the UK was not planning to impose any direct taxation requirements on Cayman. “The mechanisms of taxation are a matter for the Cayman Islands Government,” Simmonds added but noted that he was happy to see what he described as a real ambition of the local government to diversify the economy. The British minister said one of key facets of the JMC meeting in London later this month was the focus on jobs, growth and diversifying the OT economies, and said there were plans to hold a trade and investment conference at the same time so British investors could see opportunities that exist in the territories, not just in financial services and tourism but in new sectors as well.